Spend 2 nights with us and enjoy $50 at Bhavana Day Spa. 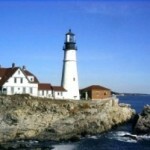 Maine’s springtime is missed by many because they only travel here in the busy summer months. See this beautiful time of year in Maine for yourself; enjoy a stroll along the less traveled coast line, meander the uncrowded shopping in Freeport and luxuriate in one of the many spa treatments a short walk from our front door. The Brewster House’s Victorian charm features smartly appointed rooms (several with fireplaces) luxurious amenities, and wonderful 3 course breakfasts & french press coffee made daily. Your Spring & Spa special is valid from March 1 through May 1, 2019. This Special may only be paired with Brewster House gift certificates, no other gift certificates or coupons may be included with this special offer. Valentines Day is a special time, and we think one day is far too short for all the romance of February. We’ve extended our Valentines Day Package to the entire month of February. We’ll help you book your treatment! 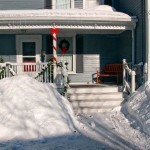 Get Out of town and enjoy any two consecutive nights in an elegant, romantic, historic Bed and Breakfast in Freeport Maine. Make the kind of memories that will last a lifetime. 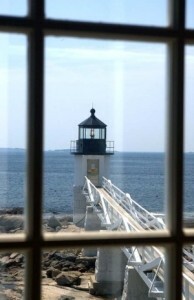 Tour the coast’s dramatic lighthouses, play in the snow with the LL Bean Discovery Center, then enjoy a delicious dinner of Maine lobster, or shopping at over 160 stores and restaurants in Freeport. Get Lost. Oh…and did we mention the new day spa Bhavanna that awaits you?!? !- whether you seek healing, natural medicine and preventive services or are simply in need of pampering and indulgence. With over 200 different offerings and growing, there is something here for everyone, including couples massage. Get Together. Indulge your romantic dreams at Brewster House. Enjoy a welcome chilled bottle of Prosecco or a flight of craft beers for Big Brewstah in your flower adorned room, Dave’s home-made chocolate truffles, and a full 3 course gourmet breakfast daily. Relax in one of our immaculately appointed spacious rooms with either king or queen beds and large private baths (most with full tubs), and most with gas fireplaces! Concierge service to book your deep tissue massage, yoga class, natural mani, hemp foot soak or choose from Bhavana’s extensive selection of services. The rate for the February is for Romance Package rates from $428 + tax (based on a two night stay, double occupancy, taxes included – actual rate depends on room selected). Contact us for rates for other room configurations. Valid February 1 through February 28. 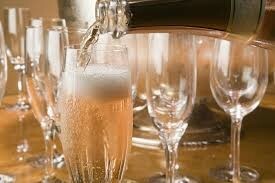 Please note, we have a 2 night minimum on Valentine’s Day Weekend! 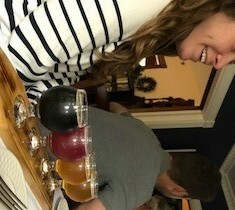 Learn How to Make Great Pizza at home with us while enjoying Maine Craft Beer on tap and an excellent Wine selection. In just 2 hours, you too can become a Pizza aficionado at The Brewster House’s InnOurKitchen cooking classes. No pizzeria-style oven required. 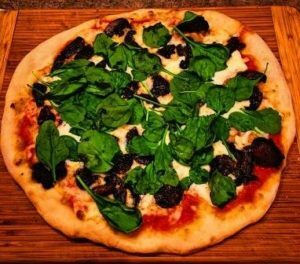 The result is unbelievable pizzas from scratch, that you’ll create and enjoy eating “Inn Our Kitchen” for a hands-on experience. Pair your individually crafted pizza with our selections of beer and wine, which are available for sale. Leave with the skills and knowledge needed to make great pizza in your own home! RESERVE one of our luxurious rooms today and enjoy a great weekend away full of food & fun. Or call us direct to book your stay or help answer questions you may have about timing, availability or a full Inn “takeover” for you and your crew. Shop, Sip & Snooze this Mother’s Day! Can it get any better?! May 13th is almost here and you haven’t made special plans? Fear Not! We’ve put together a great Mother’s Day getaway sure to please. Treat the special mom in your life to deluxe accommodations, gourmet 3 course breakfasts PLUS a Cava (that’s Spanish sparkling wine) tasting, discounts to all your favorite shopping in town & a relaxing massage here on site. 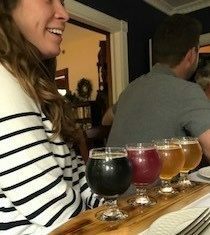 All our Saturday evening guests are invited to enjoy a complimentary Cava tasting from 4-6 with our favorite wine aficionado, Colleen Callahan from SoPo Wines, on hand to walk you through the varietals while Dave pairs those with delicious local meats & cheeses from Wealden Farms. But how about a massage to indulge your mamasita? We’ve secured a talented massage therapist to be onsite from 11-4 on Saturday. Call to learn more about the types of massage and available times to book your relaxation now. 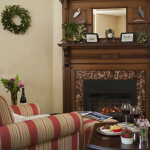 Indulge yourself this May and be our guest at the Brewster House. Fall Shopping Package, 3 Nights for the Price of 2! Take advantage of our Fall Shopping package! It gives you the freedom to get away and save! Start your Christmas shopping or just explore the coast after the crowds have departed. Book two consecutive nights at regular (weekend) prices, and the third consecutive night is on us at off-season rates! No gift certificates or coupons may be applicable to this package, but our own, and the reservation must be made directly through our website, or by phone with us. Valid November 1 through November 21,2018. 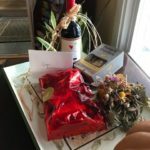 Posted in | Comments Off on Fall Shopping Package, 3 Nights for the Price of 2! Take advantage of winter in our Winter Wonderland package, with rates that get lower the longer you stay! 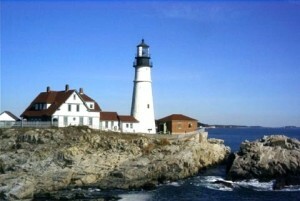 Would you like to enjoy Maine’s scenic beauty in a completely different way from the beautiful coastal summers? Do you love shopping in Freeport, but wish it wasn’t so crowded? Now you can have both the outstanding winter beauty and the uncrowded shopping opportunity during our Winter Getaways in Maine. Relax in Brewster House’s Victorian charm. 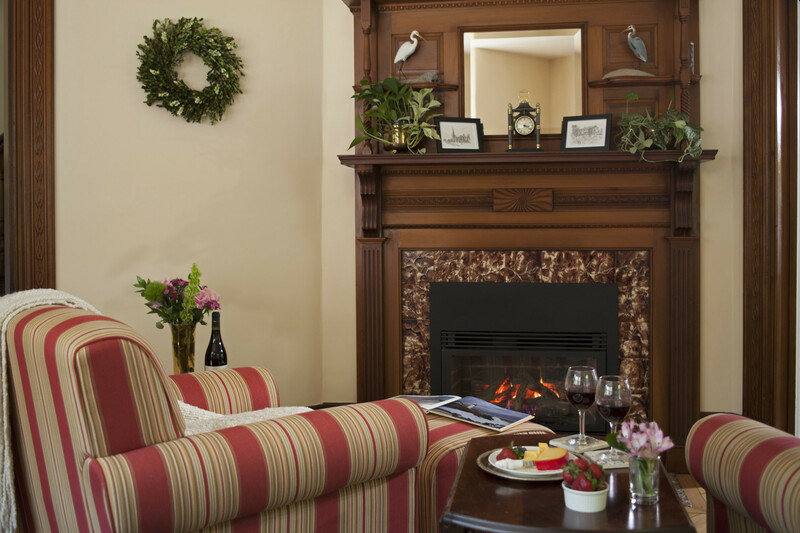 Unwind with tours of the breathtaking Maine coast in winter, learn to snowshoe or cross-country ski w/ LL Bean and walk to shopping in Freeport, then cuddle with a bottle of one of our great wine selections by the fireplace Enjoy wonderful breakfasts, made fresh daily at Brewster House. 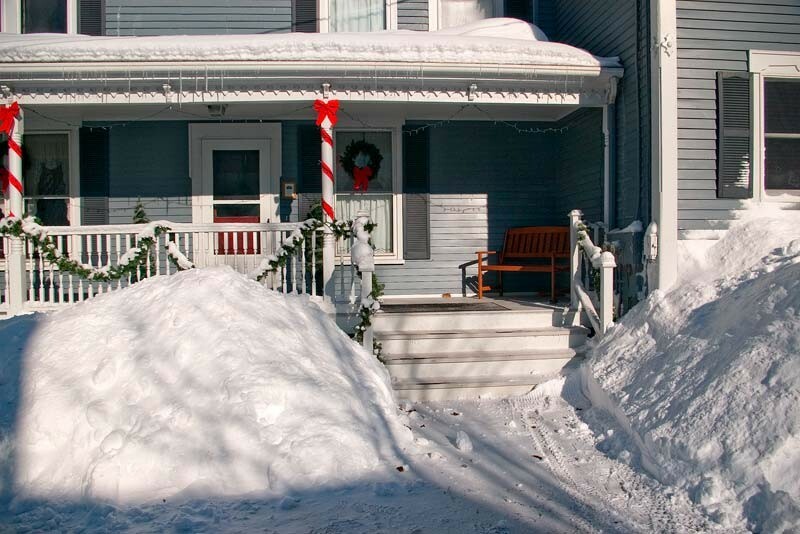 Two nights accommodations at Brewster House at 20% off our standard quiet season rates, OR, three (or more) consecutive nights at Brewster House at 33% off our standard quiet season rates! Full hot gourmet breakfasts daily, afternoon refreshments, directions and itineraries for sightseeing day trips. Your Winter Wonderland package is valid from January 3- January 31st. As the days wind down to the blessed event, take time to enjoy an opportunity to pamper yourselves before the baby arrives. Relax at Brewster House, a lovely Queen Anne Victorian home, restored to its original elegance. 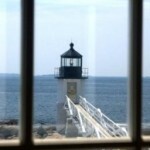 Unwind with a sightseeing itinerary including beaches along the Maine coast, lighthouses and more. Visit L.L. Bean and the other 160 plus shops and restaurants in Freeport. The Babymoon Package is based on a minimum two-night visit in one of our queen or king rooms. Rates start @ only $398/ weekend + tax!